L'Occitane has a new freebie! This features their best-sellers in a limited edition box dressed up with Rifle Paper Co. hand panted designs. 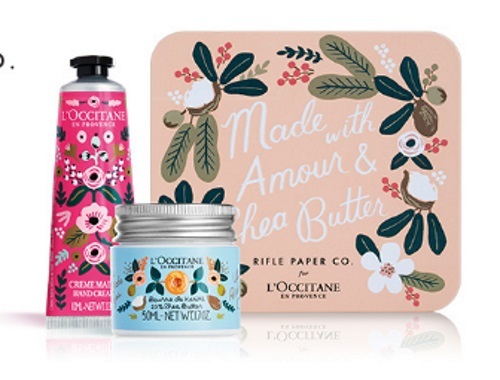 To get the offer just show the page linked below on your phone to redeem in-store at L'occitane, no purchase necessary. Click here to see their store locator. You can also get it online with a purchase with the promo code RIFLEPAPER18. Free gift is available until February 14, 2018 or while supplies last.